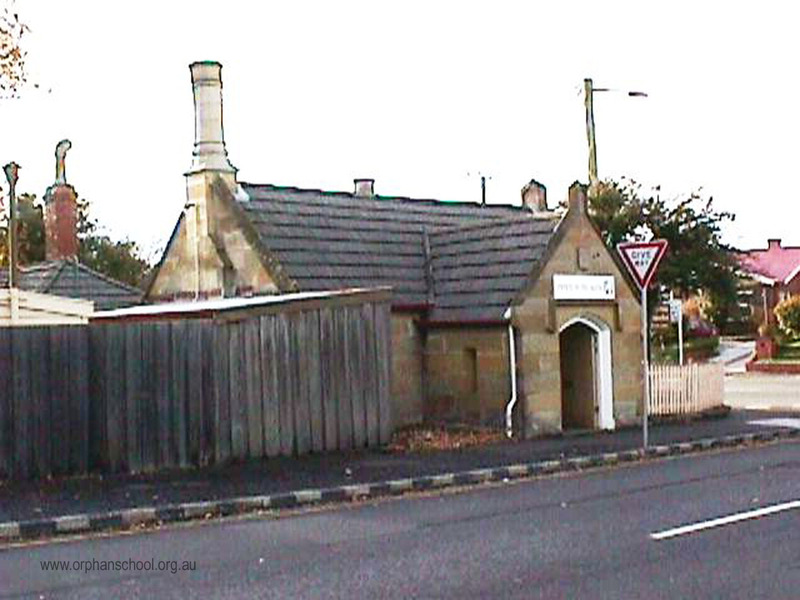 In 1841, well-known convict architect James Blackburn designed the two sandstone watch houses at the entrance to St John's Avenue. Both had an entrance porch. Blackburn's original plan for No.1 had two main rooms, one for men and one for women, and three smaller rooms (cells?). No.2 had three main rooms for constables. 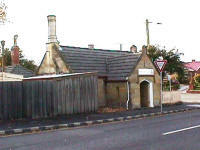 The watch houses have had a variety of uses and are also know as gate houses. 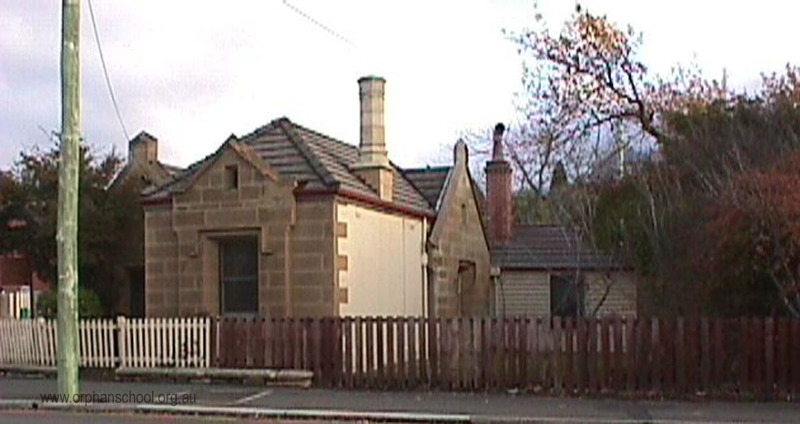 At one stage, No.1 St John's Avenue was used for the Hobart District Nursing Service. The black oak trees (Quercus species) on other side of the Avenue were planted to commemorate Queen Victoria's Diamond Jubilee in 1897. C. Bruce, Front view of the New Church and King's Male and Female Orphan Schools now in progress of building at New Town, January 1831 etched by C. Bruce. Harley Preston, 'Blackburn, James (1803 - 1854)', Australian Dictionary of Biography, Volume 1, Melbourne University Press, 1966, pp 109-110.